This group has been set up to explore venues, attractions and activities which may not be covered by other groups. Thursday 17 January - Spa Experience at Revive Spa and Salon, West Notts College. 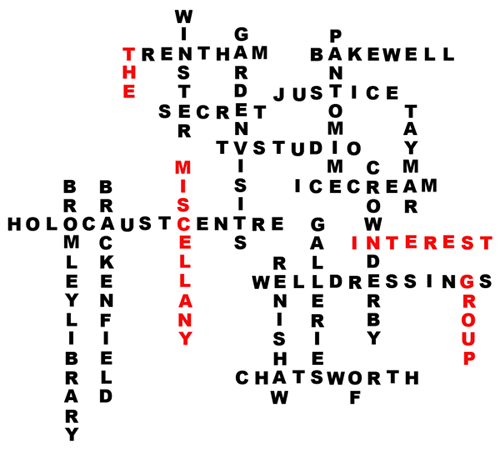 Monday 18 February 09:45 Mansfield Museum and Palace Theatre tours, Leeming Lane, Mansfield. Meet at museum 9.45 for 10 am tour, tour of Palace Theatre will follow at approx 11.15am. Tuesday 12 March 10:50 Council House, Old Market Square, Nottingham. Meet in reception 10.50 for 11am tour. Monday 1 April 10:00 National Mining Museum, Wakefield. Visit museum and opportunity to go underground. By minibus 10am from Ravenshead and further pick up in Kirkby. 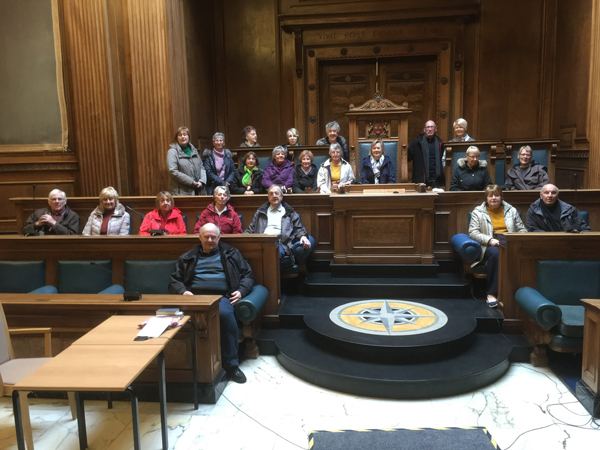 We were given a most interesting potted history of The Council House by our tour guide. We were very impressed from the moment we walked into the entrance hall with its floors, walls and columns made of marble and the sweeping staircase. The High Dome above the staircase is thought to have been modelled on the Pantheon In Rome; the hour bell housed within the dome is nicknamed Little John and is said to be heard some 7 miles away - it rings between 7am and 11pm. Notttingham City Council relocated their offices in 2010 but the Council Chamber is still used for the main Council Meeting chaired by The Lord Mayor and the remainder of the building now serves as the Chief Register office for births, deaths and marriages along with the Coroner's Court. We put on safety helmets, battery packs and lights prior to being taken in the 'cage' some 140m underground into the dark depths of Caphouse Colliery. 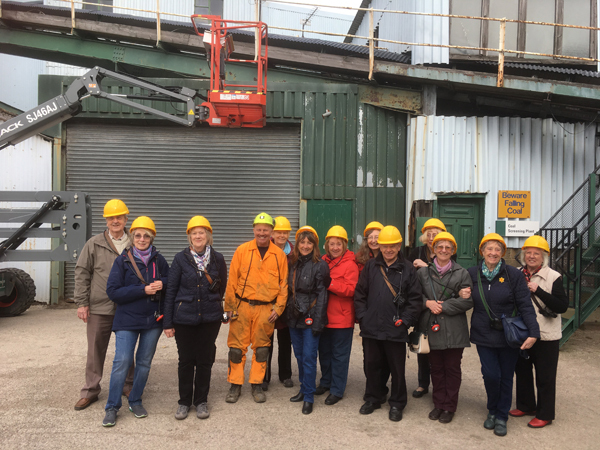 Our guide, who had been a deputy at the colliery prior to its' closure in 1986, was fantastic; his enthusiasm and knowledge along with his sense of humour certainly made this one of more memorable visits. On reaching the pit bottom we were told about the use of air doors and ventilation in mines and more importantly the emergency exit via 'the drift'. The talk/tour took us through the time when families worked together in the mines until 1842 when an Act was passed forbidding children and women working down the mine. The culmination of our experience was to see how much progress had been made with the introduction of modern machinery. We set off on the 2 May from Kirkby with some apprehension on how the day would unfold in the awful weather! What a surprise we had. We were warmly welcomed by George Buchanan who served us with coffee. George then gave us a guided tour of the banqueting suite (which is currently used for weddings and private functions), bridal suite and a behind-the-scenes tour of the cellars. He gave us a fascinating insight of the history, noting there is evidence that people have lived at Hodsock for over 2,000 years, dating back from the Bronze Age. 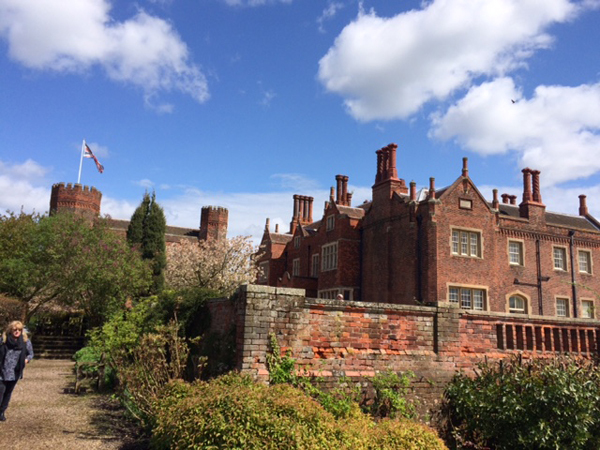 The Mellish and Buchanan families have lived there since 1765 and have had issues, not least with one ancestor gambling away 20,000 acres of Hodsock land. The estate now comprises 800 acres (700 mainly arable and 100 acres of woodland) and is still run by the Buchanan family. 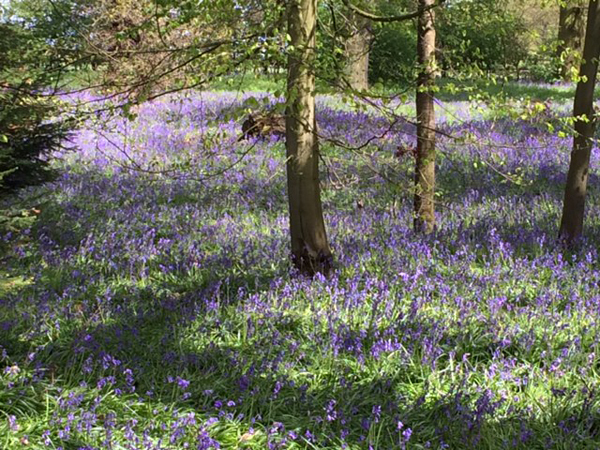 Following a superb lunch in the dining room, we were blessed with lovely sunshine and were able to explore the extensive gardens and bluebell wood. A thoroughly enjoyable day, thanks go to Marilyn White for arranging this.